As I promised some of you who follow Adalia Rose I’ve made her a card as well:) I got to know that many of you follow this sweet girl who has Progeria like Hayley Okines. An energetic and bright 6 year old who loves dancing, singing and dressing up 🙂 Â She would surely be delighted if you leave her a message on her Facebook page! 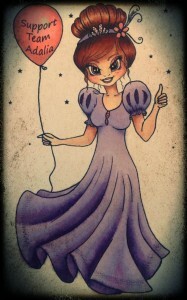 :)Â I designed a princess for her card, a princess who supports Team Adalia which works very hard to raise awareness as well as money for research to fight this condition. 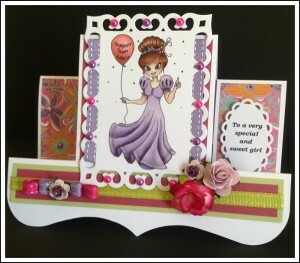 I chose bright colours with pinks and purples and I decorated the card with flowers, coloured pearls and ribbon. You can find the image in my shop here where the balloon is left blank. 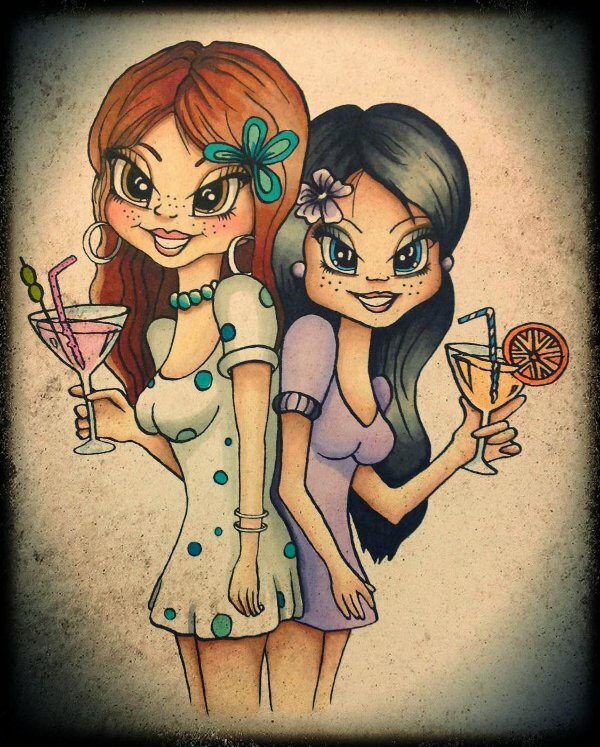 This entry was posted in Keeping in touch.... and tagged Adalia Rose, Balloon, Girl, Party, Princess, Progeria on July 12, 2013 by Penny Blossom.